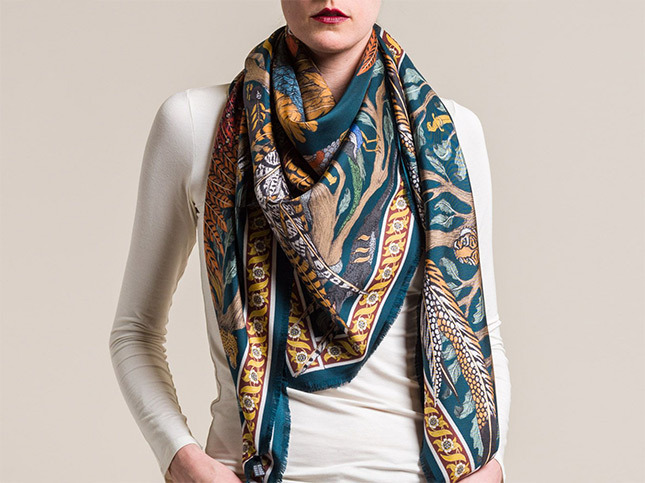 Now available online, new Sabina Savage scarves. We have two new hand-drawn, detailed scarves from the new Sabina Savage Fall/Winter 2017 collection. The line is sold online and in Santa Fe Dry Goods on the Plaza in Santa Fe, New Mexico.